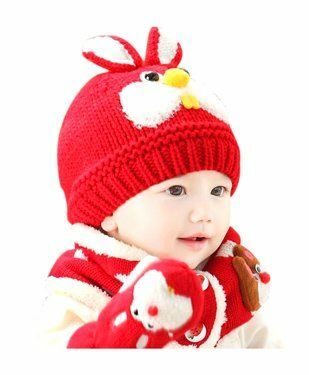 Ziory presents set of beanie cap and scarf set for your little one. The soft and warm plush lining of the cap and ear flap design, keep your kids' head and ear warm, perfect for indoor and outdoor activities. Fluffy pom-pom, stylish knit a great fashion accessory for boys and girls in winter. Skin-friendly, breathable, stretchy, soft, makes your kids feel warm and comfortable, perfect for cold weather.